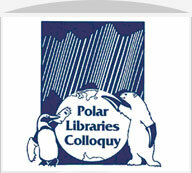 Welcome to the Polar Libraries Colloquy website. The Colloquy provides an international forum through which librarians and others concerned with the collection, preservation, and dissemination of information dealing with the Arctic and Antarctic regions, discuss issues of mutual interest and promote initiatives leading to improved collections and services. Membership provides great opportunities to network with colleagues in other institutions. From its origin, the fostering of greater international collaboration has been a central objective. The Colloquy meets biennially at venues by tradition alternating between Europe and North America. It also maintains this website, an email discussion list, and a blog. The 28th Polar Libraries Colloquy will be hosted by Bibliothèque de l’Université Laval in Québec, Canada – please check back for the date announcement!